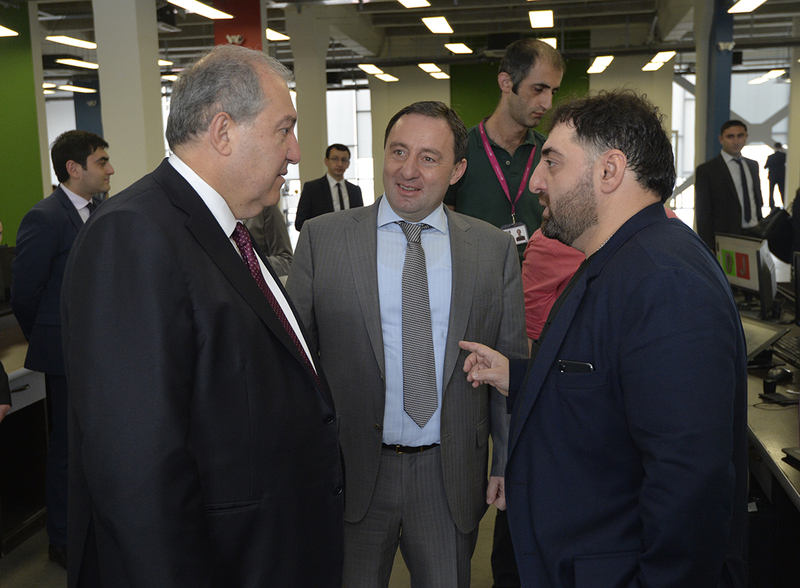 President Armen Sarkissian visited today Soft Construct Company. 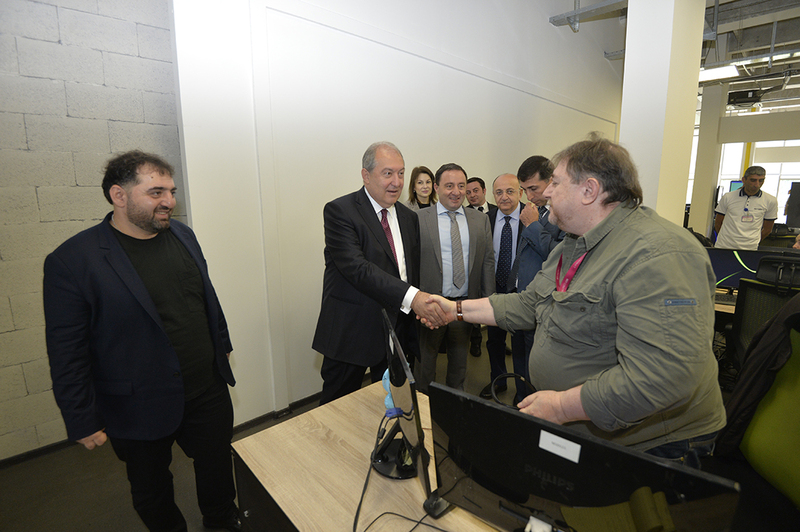 Soft Construct works in the area of information technologies and specializes particularly in multifunctional programing. 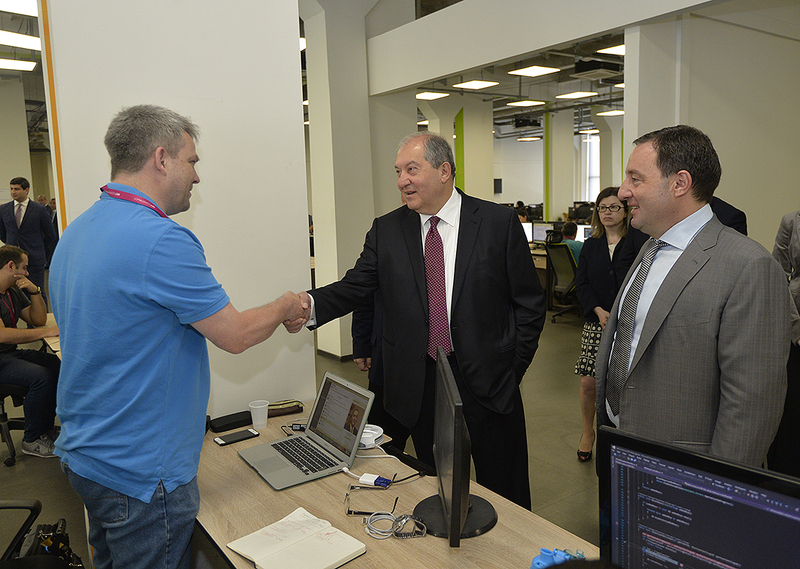 Soft Construct, which was established in the United Kingdom, currently has offices in 14 countries of the world and over 500 partners. 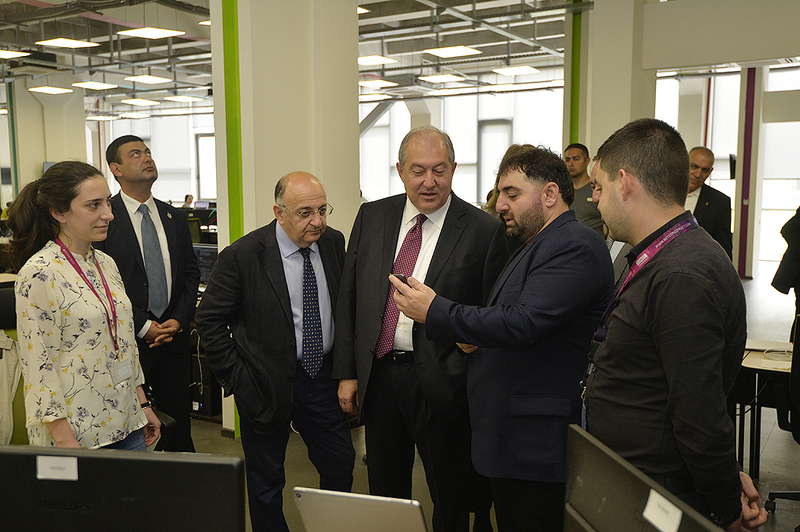 The President of Armenia toured the office of the Company, familiarized with the investments, jobs, provided services and development programs, conversed with the employees. 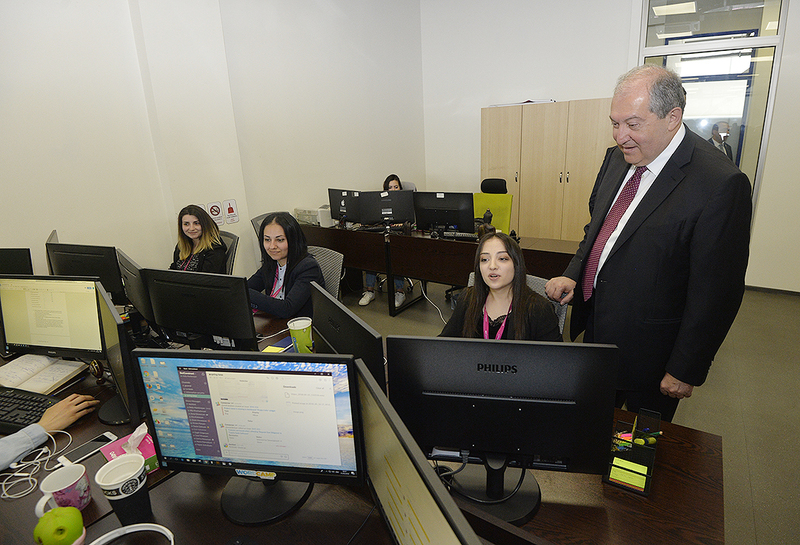 The leadership of the Company presented to Armen Sarkissian opportunities provided by the new unit, which is currently undergoing renovation, and programs of development. 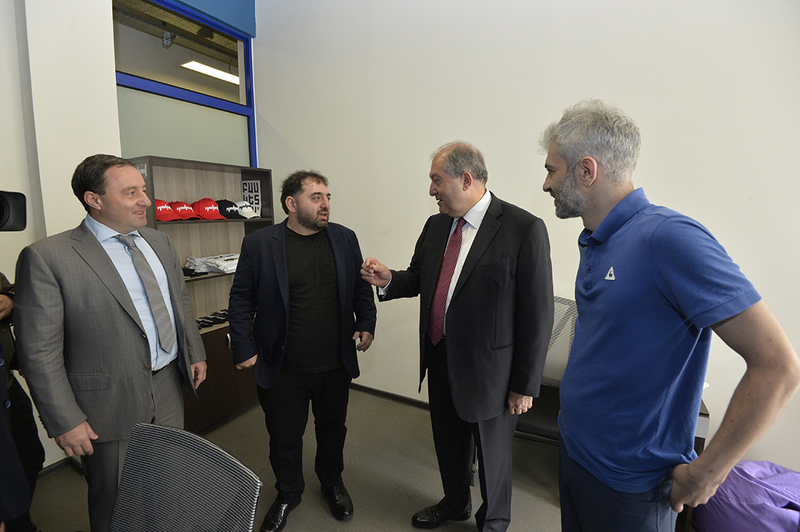 During his visit, President Sarkissian familiarized also with other activities of the Badalian Brothers group of companies which founded the Yerevan branch of Soft Construct. 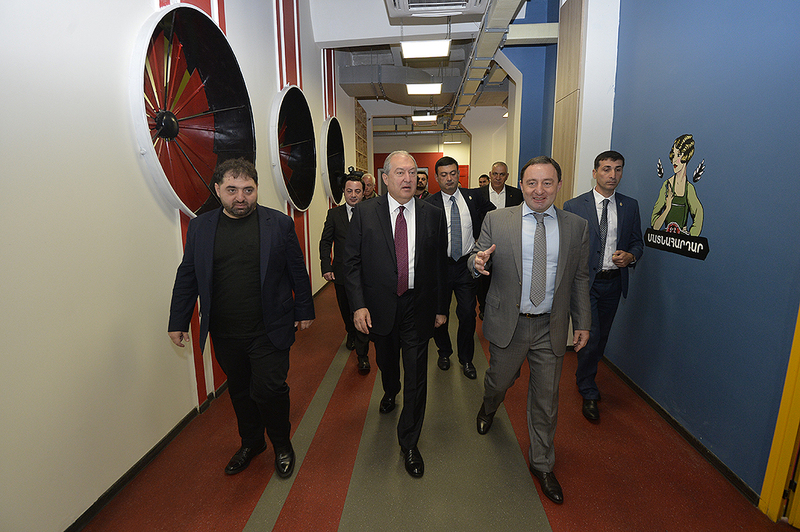 It was noted that companies comprising the group currently have 3000 employees and in 2018 will increase that number by another 300.